Show your love for Attack on Titan with the Attack on Titan Green Scout Shield with Leather Necklace! 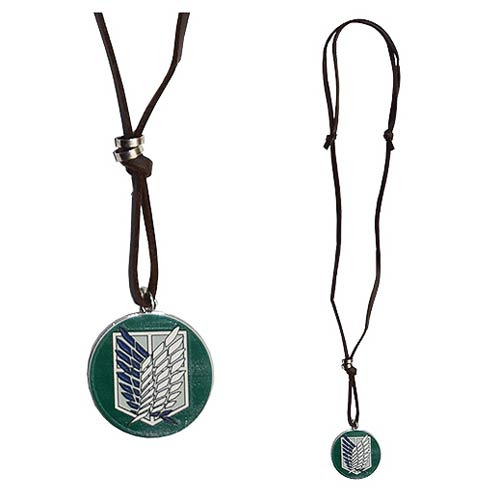 From the hit anime and manga, this leather necklace features the iconic Scout Shield on a green background. Perfect for any anime and manga fan, this Attack on Green Scout Shield with Leather Necklace makes for a perfect addition to your jewelry collection! Ages 14 and up.